The only way to get on the bus, ahead of the mob that swarmed around its doors, was through the windows. My cousin Kit went first and I followed closely, nervously behind him. I held on to my brother-in-law’s shoulder, stepped on his cupped hands then propelled myself forward through the window, into the bus. I turned around and reached back to him to grab our duffel bags while Kit scoured for seats. We found four empty rows in the back that we saved for my grandmother and my mother, my sister Dinna, Edith, and Vangie, my sister Liz and her husband Joven who stood patiently outside, waiting for their turn to join us in the bus bound for Baguio City. It was past midnight by the time we reached the hairpin turns of Kennon Road and too dark to see the infamous Mount-Rushmore-like Marcos monument. We had been traveling for more than eight hours. We all froze once we stepped off the bus. It was too cold even with multiple layers of shirts and jackets on. From the Philippine Rabbit terminal in the city, we took two cabs to get to our rental for the week. 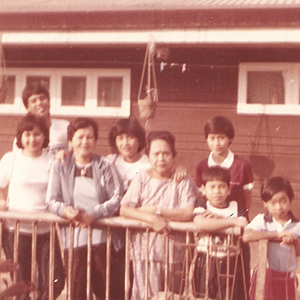 It was a bungalow perched atop Quezon Hill studded with pine trees, not far from Burnham Park. It had two bedrooms with bunk beds covered with starched sheets and polyester blankets that reeked of mothballs and Safeguard soap. The kitchen, a lot bigger than ours back home, had a rice cooker, pots and pans, and a small stove that my mom used to fry eggs and longganisa for breakfast the following morning. It was the summer of 1982 and my family’s first visit to the Summer Capital. The trip was memorable in so many ways. We toured the sights, the gardens, and the parks. We took a lot of photographs. 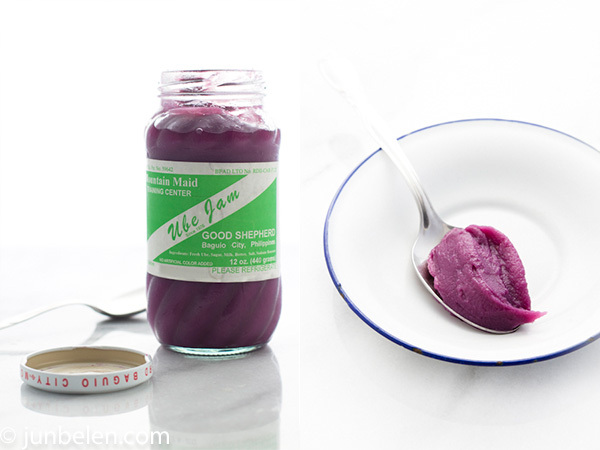 We shopped, we cooked, we ate, and we had our first taste of Good Shepherd’s famous ube jam — the best-tasting haleyang ube [hah-leh-yang oo-beh], in my book. 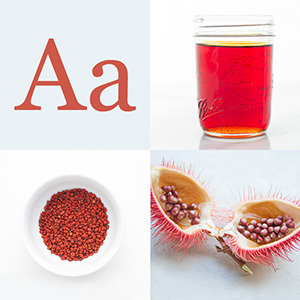 Haleya comes from the Spanish jalea, which means jelly. Haleyang ube is a himagas of ube — purple yam — boiled, peeled, grated, and cooked with milk and sugar until it thickens into a smooth jam. Some add gata while others add butter and cheese. The very lavender haleyang ube paired with leche flan or sweet macapuno is classic Filipino himagas. Halo-halo, the towering stack of sweetened fruits and beans, shaved ice and milk, is incomplete without haleyang ube. Noche buena is incomplete without haleyang ube. The best haleyang ube can be found in Baguio City, in the convent of the Good Shepherd Sisters. Beautiful, rich lavender color. Exceptionally smooth and creamy. Some say the yams grown in the cooler Cordillera mountains make all the difference. Others say it’s the recipe developed by the late Sister Avelina Ocampo, who lived until she was 102. She was one of the pioneers of the convent’s program that makes jams and sweets and sends less fortunate Cordillera girls to school using profits from every jar of jam sold. For whatever reason, nothing compares to Good Shepherd’s. I make haleyang ube with frozen purple yam or with purple Okinawan sweet potatoes, using my mom’s recipe: a can of evaporated milk, a can of condensed milk, and a stick of butter for every kilo of ube. I know it isn’t the same — the frozen yams are too pale and the sweet potatoes are too starchy. But it quells the craving, nevertheless, and it reminds me of Kit climbing through the window of a bus. My mother and my grandmother walking in Burnham Park. My sisters queueing for Good Shepherd ube jam and peanut brittle. Sometimes, memories are all that matters. Combine haleyang ube and macapuno in a bowl and set aside. Sift the flour and salt into a separate bowl. Cut the chilled butter into the flour with a pastry blender or work it in lightly with the tips of your fingers until the mixture resembles small peas. Stir the egg into the flour until fully incorporated. Pinch off a small handful of dough. If it does not hold together, sprinkle the dough with ice water. Blend the water gently into the dough until it just holds together. Place the dough out onto a clean lightly floured work surface and pat it into a disk about half an inch thick. Wrap the disk in plastic wrap and refrigerate until firm, at least an hour or up to two days. Place dough on a clean lightly floured work surface. Roll out the dough to about 1/8-inch thick. Using a 4-inch round cookie cutter, cut the dough into circles, saving the scraps. Gather the scraps and roll them again. Transfer the cut dough to a baking sheet lined with parchment paper. The dough can be rolled out and cut into circles ahead of time. Wrap them tightly in plastic wrap and refrigerate up to a day ahead. Cup the dough in one hand and place roughly a tablespoon of haleyang ube and macapuno into its center. With a pastry brush or with the tip of your finger, lightly dab the edges of the dough with egg whites. Fold the dough to form a half moon, enclosing the filling. Gently seal the edges of the dough and crimp them decoratively with the tines of a fork. In a small bowl, whisk together the egg yolks and milk. Brush the tops of each emapanada with the egg wash. Bake until golden brown, about 20 to 25 minutes. Let them cool a little before serving them warm. Cook with fresh ube whenever possible. Boil purple yam until tender. Let them cool then peel and cut into smaller cubes. Grate in a food processor. When cooking with frozen ube, choose frozen whole over frozen grated yams. Thaw frozen ube completely, drain, cut into smaller cubes and grate in a food processor. Combine ube, condensed milk, evaporated milk, sugar, and butter in a large pan and cook over medium to low heat, stirring constantly. Cook until ube thickens and starts to pull away from the pan. The Baguio story is priceless. We lived in Quezon City but my aunts lived in Bocaue, Bulacan so it was on the way and I remember the fresh air compared to the city air and traffic. I remember riding a horse (i even had a pic). The Summer Capital was a wonderful destination to escape the heat in the summer. One question, I have never seen the haleyang ube in an empanada, I prefer to eat ube as the dessert itself. Very interesting. Strongest memory of the Good Shepherd sisters has nothing to do with jam. It was their strawberry wine! I haven’t been to Baguio in more than 10 years. Love that story of your first trip there. Thank you for this wonderful recipe. I’m sure my family would love this. The Lord bless you Mr. Jun Belen… great shots, too. My head is exploding, Jun. Whether it’s from the nostalgia of your description of the Philippines or the nostalgia of two of my favorite ingredients filling the empanadas, I am literally smiling so hard it hurts. Maraming salamat! You did it again, Kuya Jun… beautiful story. Even though the memory is almost thirty years old, I remember loving the weather in Baguio City. I had a lot of difficulty adjusting to the heat and humidity in general, so the rainy and windy days in Baguio City were a welcome change. 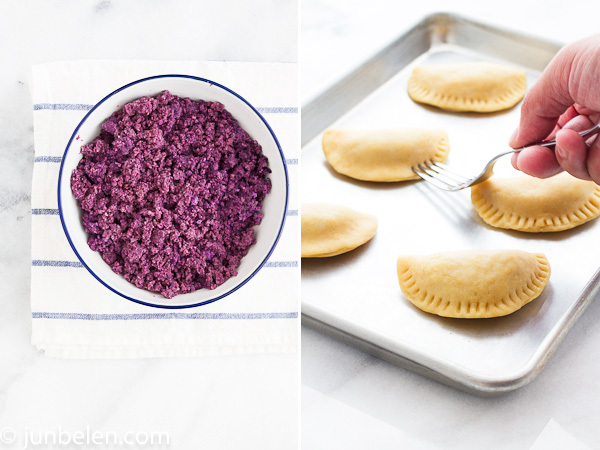 I love the colour of ube, especially in these photos. I don’t think I’ve ever tried haleyang ube before… is it quite sweet? I am in the process of thinking of what to make for my Christmas giveaways this year and this one has just made the list. A half dozen of these plus some more with ube-langka filling as a variation in a small native basket is sure to please everyone on my list. Now here’s something I have never seen before-a sweet empanada. And ube on less. It looks amazing. I bet it’s fantastic with coffee. Thanks as always too for the lovely story. I like reading about your memories of the Philippines. So nice to hear positive and happy things about the place. Most commercial brands of haleyang ube that are available here in North America are too sweet for me. Good Shepherd is by far the best I’ve tasted. Very smooth and creamy. But, alas, it isn’t available here. I make my own using purple Okinawan sweet potatoes or, sometimes, frozen ube that are usually too pale. It isn’t the same but it helps curb the craving. Thank you, Melanio for writing. I know exactly where Bocaue is. I’m not sure if I mentioned this before but I also lived in Quezon City before I moved to California. My family has a house near the Batasan Pambansa, close to the University of the Philippines, where I went to college. Where in Quezon City did you live? 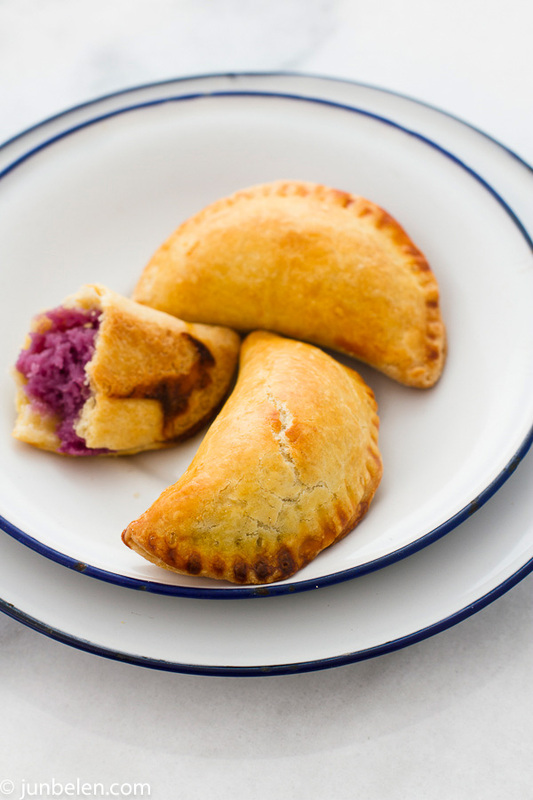 And about the empanada, I think there’s one or two bakeries here in the States that sell ube empanadas. Are you familiar with pan de ube. That’s another popular pastry filled with ube. It’s basically a cross between pan de sal and monay filled with haleyang ube. Have you tried that? Ube-langka sounds delicious! And I love your idea of using them as Christmas gifts. 113 days to go before Christmas! 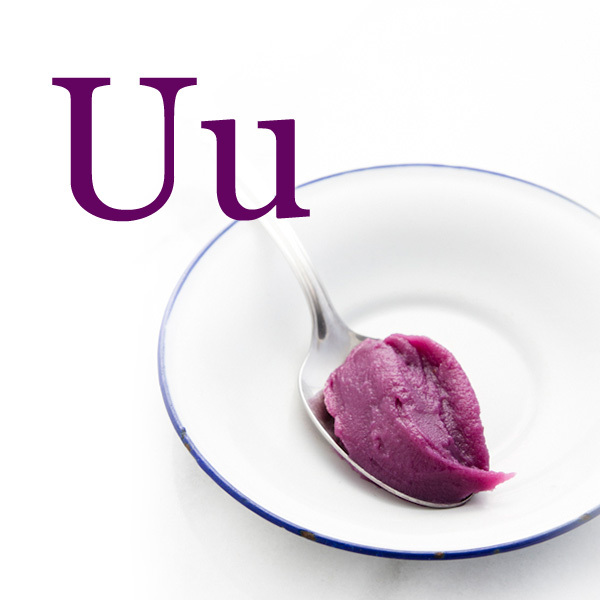 Jun: Ube ice cream is one of my favorite ice creams. Ube empanadas is definitely new for me. Since I love both ube and empanadas, I’ll have to try it soon. Thanks for sharing it!! Merry Christmas and a very happy 2013!!! I know — I’ve made that same mistake once before. The texture was too dense and too grainy. But, like you, it wasn’t completely inedible. I managed to finish the whole batch just the same. Blame it on my frugality.